A robust. high-quality, home multi gym featuring a wide range of workstations the DKN Studio 9000 is a great choice for anyone looking to increase muscle strength and tone. 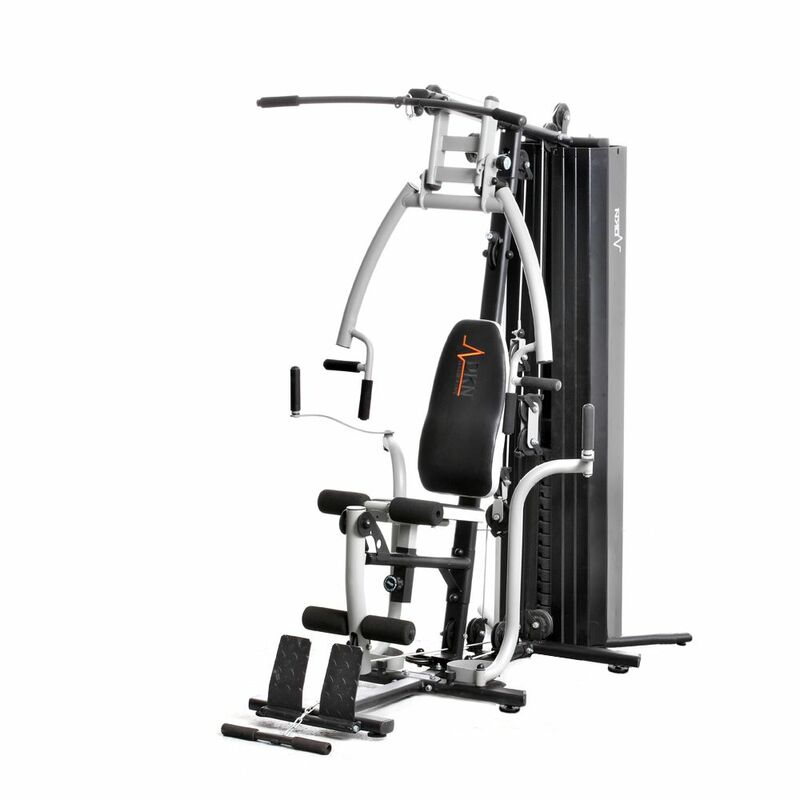 Through the intelligent use of its double pulley system, the Studio 9000 delivers loads in excess of its 75kg (165.3lbs) weight stack to ensure that you remain challenged as your strength improves. Maximum effective loads in excess of the weight stack range from 78kg (171.69lbs) for flys right the way up to a truly impressive 165kg (363.7lbs) for quadricep work. Stations include lateral pull down, chest press (narrow), chest press (wide), flys, quads, low pulley row, bicep curls, inner / outer leg kicks (ankle strap included), triceps, abdominals and there's even an option for adding a bolt-on, dedicated leg press module (sold separately). In addition, the seat, backrest and chest press are adjustable ensuring correct posture is maintained, enabling you to workout in safety and comfort. 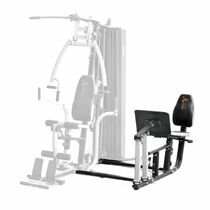 The DKN Studio 9000 is a truly comprehensive home gym that allows you to develop all areas of your body and will help you to get the physique you've always wanted. 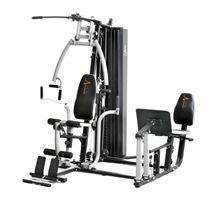 Made from heavy duty tubular steel this high-grade multi gym will stand the test of time and is an ideal choice for any gym enthusiast. for submitting product information about DKN Studio 9000 Multi Gym We aim to answer all questions within 2-3 days. 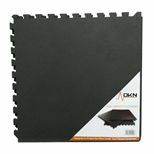 for submitting product information about DKN Studio 9000 Multi Gym. We aim to answer all questions within 2-3 days. If you provided your name and email address, we will email you as soon as the answer is published. Does it come with any other attachments eg. single handle and tricep rope ? No, it comes with attachments you can see on the images and key features only. 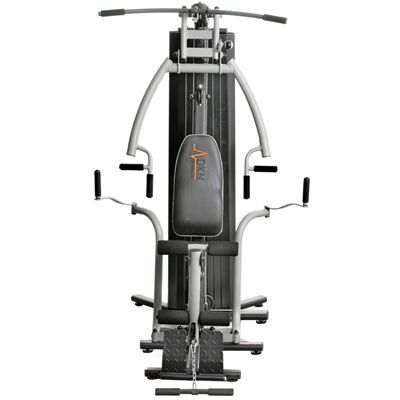 Can the Leg Press be purchased and fitted at a later time? 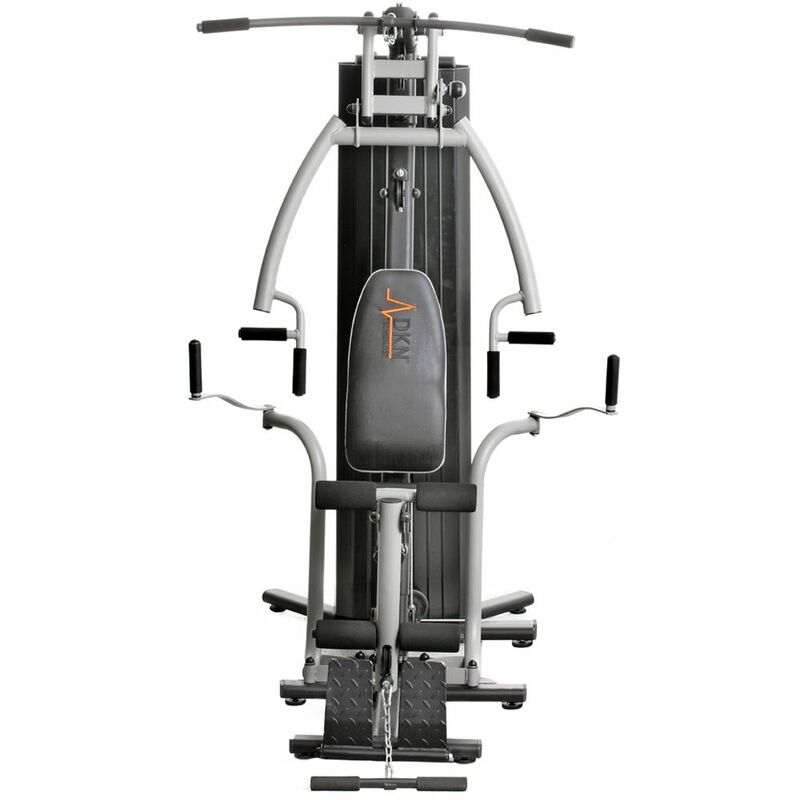 Yes, the DKN Leg Press for Studio 9000 Multi Gym can be purchased separately and then attached to the multigym. Great piece of kit at a great price, fulfills all my requirements. This is a quality multigym. Feels great when using it. I'm a bit of a novice when it comes to weight training but I definitely feeling stronger after using this for about a month. Would recommend this to anyone who wants to workout from home. Have owned several multigyms in my time but this is by far been the best. Since it was assembled (it took a few hours so be prepared!) this has been used by the whole family. I particularly like the lat pull down it feels very smooth and just like the gym machines. Do watch out for the assembly though, it does take a while. This is a fantastic, quality piece of equipment. I purchased this after researching several other multi gyms and found this to be the best value for money. Construction time took around 5 hours to complete and is definitely a two person job. I have used this almost every day since I've purchased it as the convenience of having it in the next room makes keeping in shape much less of a hassle than driving to the gym. If I was pressed to write one piece of negative feedback it would have to say that the weight only increments in 10kg (max 150kg). This makes the transition from 40kg to 50kg much more of a work than if you were to go 40kg - 45kg - 50kg. Overall, I am very happy with this purchase and next to my wife's engagement ring, its the best thing I have bought (she made me say that!). I have absolutely zero regret about buying this. I strongly recommend to anyone who is sitting on the fence about purchasing a multi gym, get this one! 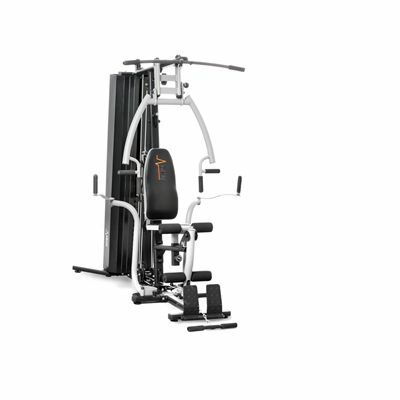 for submitting product review about DKN Studio 9000 Multi Gym.